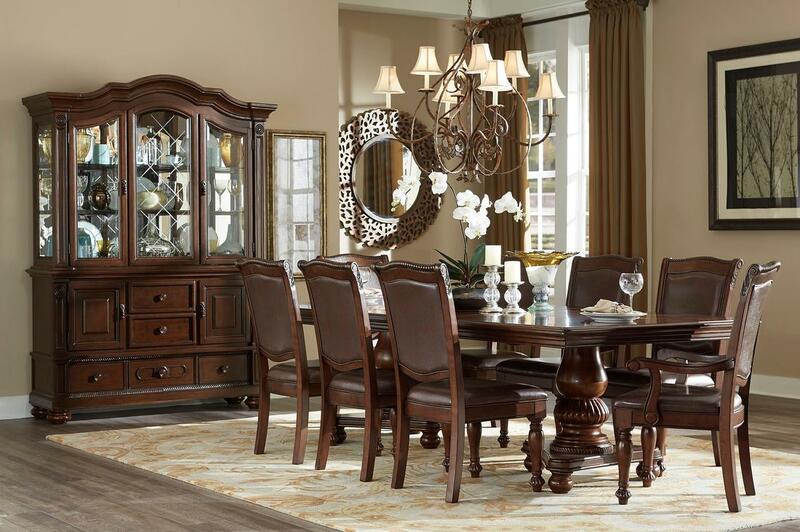 Elegantly designed for the traditional dining room is the Lordsburg Collection. Supported by the double pedestal base is the tabletop where the magnificent parquet veneer is highlighted by the brown cherry finish that covers the collection. Heavily carved molding provides distinct accent to the tabletop while dark brown faux leather covers the seats and backs of the coordinating wood-framed chairs. 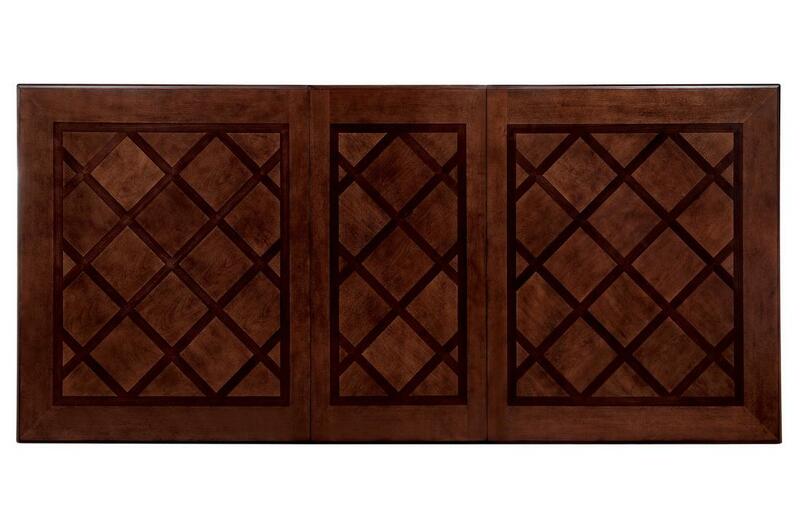 The accompanying hutch and buffet provide ample storage space for your tabletop accessories.